You don’t hear about a beer getting a 100 rating from Beer Advocate very often. As a matter of fact, you barely hear of it at all. 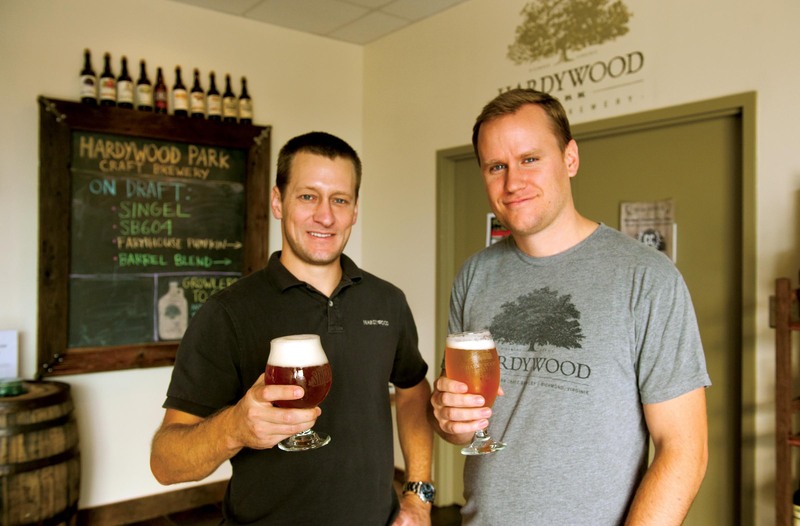 An acquaintance recently put me in touch with Eric McKay, whose Hardywood Park Craft Brewery in Richmond, Virginia, earned the “world class” score in April 2012 with its Gingerbread Stout. Oh, and this acquaintance also slipped me a bomber of the precious liquid. Surprisingly, Beer Advocate gave the review less than a year into the brewery’s founding. McKay went to college in North Carolina, but it was before the “Pop the Cap” initiative that pushed that state to allow there to be beers over 6 percent ABV. He didn’t really get that sensation of appreciating craft beers until 2001 while travelling to a sheep station called Hardywood Park in Australia. After working for a craft beer wholesaler in New York City after college, he saw during that 2003-2009 period how beer culture transformed. “During these years, I spent time visiting my brother, grandparents and in-laws in the southeast and witnessed a very early but explosive growth in demand for craft beer,” he wrote. McKay’s employer purchased a craft beer wholesaler in Richmond, and once he moved there he knew it was the “perfect city” for starting his own brewery. He’d been planning the business for years with Patrick Murtaugh, the brewery’s co-founder and brewmaster, McKay said. It was a magic combination of a forgiving cost of living, few breweries, high growth in craft beer sales, and an overall growing appreciation of homebrews and local food that gave him the push to build the business. The chances of being able to enjoy the Gingerbread Stout in Connecticut might not be as slim as one might fear, according to McKay, who is also a BJCP judge. I agree. The Gingerbread Stout has it all: it’s rich and sweet, with complexity that comes from its exotic ingredients. It’s got a punch at 9.2 percent ABV, but it doesn’t stall you out. We’re talking baby ginger, wildflower honey, Madagascar bourboon vanilla beans, and Vietnamese cinnamon. Oooh, doggie! 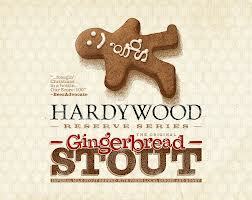 This entry was posted in Beer Snob and tagged Hardywood Park Gingerbread Stout. Bookmark the permalink. You’re welcome. Thank you for visiting. Please stop by any time.